Bray’s very own music and entertainment festival, The Crown Fest, is fast approaching and we’re all set to welcome you and make the most of our beautiful garden for a great day with all the family. Pop down between 3.00pm and 9.00pm on Sunday 20th September for music – from Oliver Tomes, Busker Rhymes, The House Street Band, Hey The Federico and more – magic, face-painting, a bouncy castle and the great Crown BBQ. There is an entrance fee on the day of £5 per adult (children under 12 are free) and you will be entered into our raffle to win some amazing prizes. We will also be raising money for the Jesus Hospital in Bray with 100% of all donations going direct to this caring Trust. 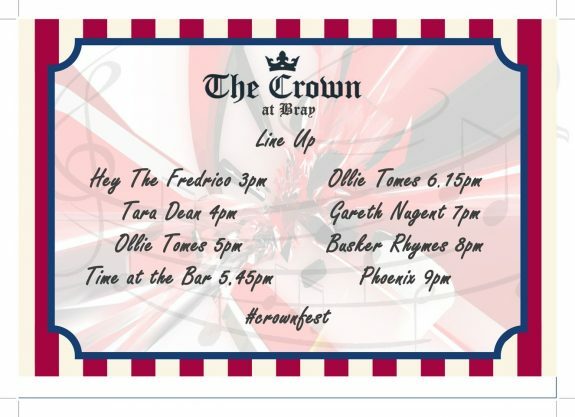 Whilst you are with us, don’t forget to check in on Facebook and tweet us a picture to @TheCrownatBray with the hashtag #CrownFest. We can’t wait to see you then! 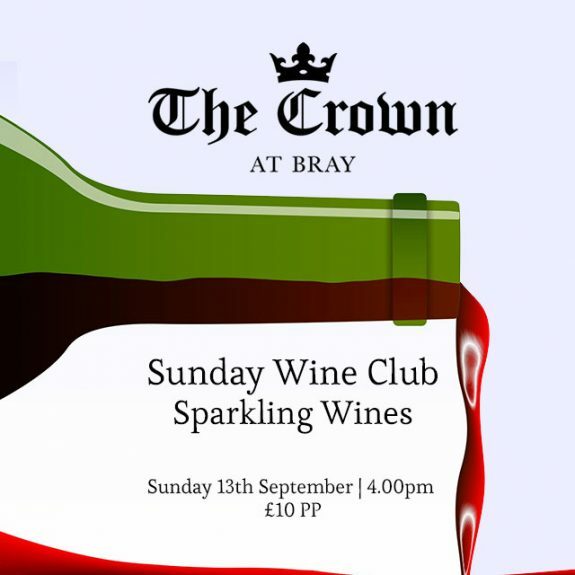 Our Sunday Wine Club is back! Join us from 4.00pm on Sunday 13th September for the chance to try three sparkling wines, including an English wine, a Champagne and a Prosecco. Our very own Assistant Pub Manager, Liam – WSET (Wine & Spirit Education Trust) trained and wine enthusiast, will be running the club. If you would like to join us, give Reservations a call on 01628 621936 to book your spot. The usual £10 fee per person applies but is waived if you reserve a table with us for dinner afterwards. Hope to see you then!